1. In that he is God, he is an absolutely and infinitely perfect being; and it is impossible that he should do amiss. 2. As he is God, he is so great, that he is infinitely above all comprehension; and therefore it is unreasonable in us to quarrel with his dispensations, because they are mysterious. If he were a being that we could comprehend, he would not be God. 3. As he is God, all things are his own, and he hath a right to dispose of them according to his own pleasure. 4. In that he is God, he is worthy to be sovereign over all things. 5. In that he is God, he will be sovereign, and will act as such. 6. In that he is God, he is able to avenge himself on those who oppose his sovereignty. These six biblical propositions were received well as they thundered from the pulpit of the 18th century Puritan divine. But how are these realities received today? What do people think about God? 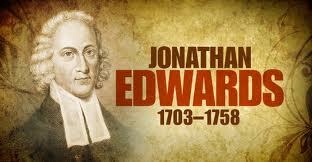 Edwards provides clues as he suggests that some people struggle with what he calls “little thoughts of God.” He continues, “The truth is, men have low thoughts of God, or else they would willingly ascribe sovereignty to him in this matter.” The problem that Edwards addressed almost 300 years ago has become somewhat of an epidemic today. Open theism, process theology, neo-orthodoxy (just to name a few) have captured the minds of many pastors and are polluting the streams that once flowed unhindered in the academy and the church.